Buying a home can be an exciting experience, but the process can be complicated. While some homebuyers may think hiring an attorney will be too expensive, not having proper legal representation can be even more costly. 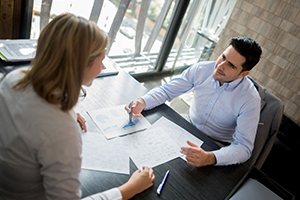 Although real estate agents typically bring buyers and sellers together, a highly skilled attorney can perform critical due diligence, anticipate problems, and be your advocate at the closing table. It's often been said that real estate is all about the price and "location, location, location," but there are a number of factors to consider such as purchase and sales contracts, home inspections, title issues as well as arranging for financing. An experienced real estate attorney who knows the local housing market can help a buyer navigate these issues and protect his or her investment. Once a buyer selects a home, it is crucial to have an attorney review or prepare a contract of sale. In short, a contract must adhere to all state and local laws, address issues about the use of the property, and specify the rights and obligations of each party. In some states, the buyer and seller have a limited time to review the contract before it becomes legally binding. In addition to price and location, it is essential for the structure of the dwelling and its heating, cooling and electrical systems to be in good condition. An attorney can coordinate a home inspection to ensure that any defects are repaired prior to the closing or arrange to have the seller reimburse the borrower from the proceeds of the sale. In some cases, an attorney can also perform a title search to verify that property is being sold free of any liens, judgments or other encumbrances. If outstanding items need to be paid before the deal closes, there can be costly delays, especially for buyers who are simultaneously selling an existing home. Lastly, after the closing, the deed must be filed in the county in which the property is located, which can easily be handled by an attorney. Ultimately an attorney can protect a homebuyer's interests, anticipate and resolve problems and help to avoid conflicts. Because buying a home is the largest financial transaction that many individuals will ever undertake, the role of an attorney cannot be underestimated.